Unlike steel which will plastically (and permanently) deform and yield under extreme ice load conditions, the ACCC composite core is fully elastic. The benefit is obvious, but the drawback is that under extreme ice it can sag more than a conventional steel core conductor. In several designs we have simply increased the size of the standard 310 ksi ACCC core (for comparison, high strength steel is rated at 285 ksi), which can do the trick. We have also designed and fully tested a higher strength ACCC core rated at 375 ksi. We call this product ACCC ULS, which has been installed at approximately three dozen projects, worldwide. The ACCC ULS version also has a higher modulus which means it stretches less under extreme ice load conditions. In some cases, smaller diameter ACCC designs can also be effective at minimizing sag under heavy ice conditions. 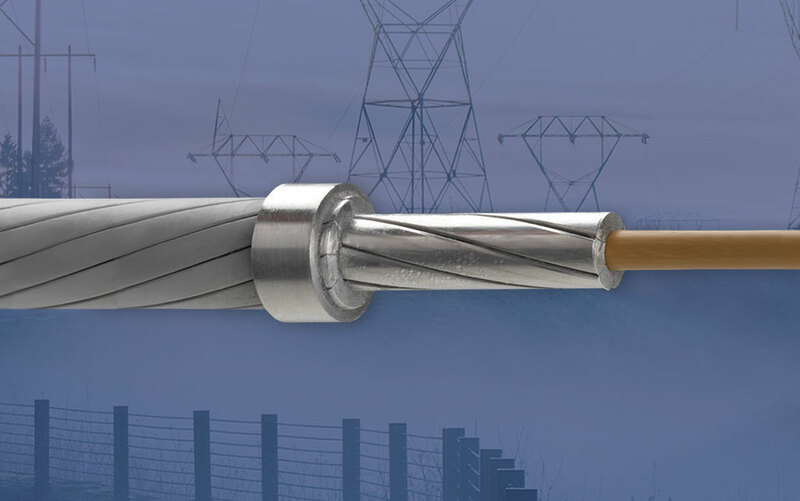 Most recently CTC Global has introduced ACCC AZR conductor which consists of either a standard 310 ksi core or a 375 ksi core, either of which are then stranded with one or more layers of AT3 Aluminum Zirconium alloy strands. (see ASTM Standard B-941 or IEC Standard 62004). At this time, two configurations have been developed and fully tested, that use the standard 310 ksi ACCC core. These products are known as ACCC AZR 826 kcmil Calgary and ACCC AZR 994 kcmil Toronto. The Toronto is essentially a Drake size equivalent with a 1.108″ outer diameter, a larger .415″ core (our standard ACCC Drake equivalent uses a .375″ core) and has a rated strength of 44,500 pounds compared to our standard ACCC Drake equivalent at 41,100 pounds. For comparison, ACSR Drake is rated at 31,500 pounds. The Calgary version is slightly smaller in diameter at 1.010″ and rated at 39,700 pounds. It uses a .375″ 310 ksi ACCC core and uses Type 1350-O fully annealed aluminum on the inner layer and Type AT3 Aluminum Zirconium alloy on the outer layer. We have other AZR conductor sizes in the queue to help our customers deal with challenging projects. The take away is that we can help you find a cost-effective and efficient conductor solution no matter what challenges you face.